At The Law Office of Jessica Dumas, we care about our clients. Every day, we see the devastating effects disability can have on an individual’s personal life, work life, and family life. We are committed to making the difficult process of seeking Social Security disability easier. Since 2000, we have worked to help our clients secure benefits to protect their quality of life. The benefits include monthly income through Social Security Disability Insurance and/or Supplemental Security Income and health coverage through Medicaid or Medicare. Jessica Dumas is originally from Northern Virginia near Washington DC. She moved to Florida during her high school years. 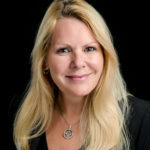 Jessica received a Bachelor’s Degree in Psychology from the University of Florida and went on to study law at St. Louis University, receiving her law degree in 1992. Jessica began representing Social Security Disability claimants during a law school internship, a pursuit she found so fulfilling it became her chosen area of practice. Jessica has devoted her legal career to helping people in need of disability. She has exclusively practiced disability law for over 20 years. 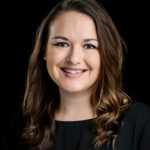 Jessica is a member of the Jacksonville Bar Association, the Jacksonville Beach Bar Association and the National Organization of Social Security Claimant’s Representatives (NOSSCR). Jessica currently serves on the board of Mission House and is working on a project with Sulzbacher Homeless Shelter. She is the former chair of the Jacksonville Bar Association Social Security Committee. She is admitted to practice in the state of Florida and in Federal District Court in the Middle District of Florida. Jessica is a former recipient of the Florida Bar Presidents’ Pro Bono Award and Jacksonville Area Legal Aid’s Pro Bono Award. Jessica has made the Jacksonville Beaches her home, since returning from college, where she continues to reside with her husband and son. Michelle works as a Senior Legal Assistant. Before joining Jessica Dumas, she worked for seven years in the medical records department at St. Vincent’s Medical Center. She assists in developing cases for hearing and collecting medical records. She also manages Appeals Council and Federal cases. Michelle’s intimate knowledge of the entire Social Security process and her meticulous attention to detail make her an invaluable member of the team. 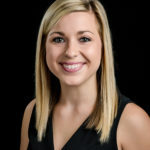 She has been with Jessica for six years and is currently working on her paralegal degree from Florida State College Jacksonville. She spends her spare time swimming, hitting the beach and enjoying time with her husband and three children. Kayla joined our firm in December of 2015 as a senior Legal Assistant. She grew up in Jacksonville and went to high school at Douglas Anderson School of the Arts. Kayla graduated from Florida State College at Jacksonville with a Bachelor’s Degree in Human Services, a major she chose because she is committed to making the world a better place. Working with our clients has confirmed Kayla’s commitment to and passion for helping people. She is known at the firm for going above and beyond for our clients. Kayla teaches gymnastics and enjoys traveling and spending time with friends and family in her free time.